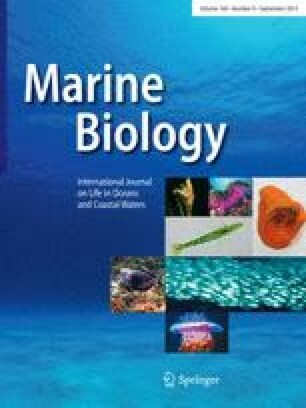 We examine the use of prey resources and seasonal variations in behaviour and reproduction for the whelk Buccinum undatum, the most abundant subtidal carnivore in the northern Gulf of St. Lawrence. Whelks used in this study were collected in the Mingan Islands in 1987 and 1988. The proportion of whelks with food in their stomachs varies seasonally and further with habitat, being greatest on sandy bottoms. It decreases at the onset of breeding in the spring and is generally low through the summer. Fragments of certain organisms (e.g. polychaetes, bivalves, urchins) in whelk stomachs suggest that they are active predators. However, predation is virtually never seen in the field. Other organisms in the stomachs, infrequent feeding, and their high mobility and capacity to detect and locate dead animals on the bottom suggest that whelks are carrion feeders. However, the amount of carrion available is probably insufficient to meet the needs of the biomass of whelks present in these waters. An interaction with seastars may contribute to the whelk's diet. They frequently approach seastars which are extracting bivalves from sediment bottoms and may benefit by feeding on prey remains left by seastars or by foraging in sediments recently disturbed by seastars.